Quick turnaround at Vanua Balavu. There's nice settled weather here for the next few days so after checking in the Sea Mercy fleet (8 vessels) is taking advantage of the conditions to get out to some of the outer islands to do Needs Assessments (to determine what's needed most on future trips as damage information in some of the islands is limited) and take out some aid materials that had been delivered to Lomaloma for us earlier in the week by a ferry. We left Lomaloma in tandem with SV Dreamcatcher (also from Vancouver) around midnight to get to Nayau mid-morning. Unfortunately there's no anchorage at Nayau so we'll leave Amelie IV offshore with MC and Matthew tending her while Meg and I go ashore along with part of Dreamcatcher's crew to meet with the village, do introductions and 'Sevusevu' with the chief, then try to assess what Sea Mercy can do here to help. Hopefully some of the aid we have on board (tools, food, clothing, etc) will be helpful in the short term, but we're interested to find what's also needed longer term. At first glance on arrival the damage from Cyclone Winston at Lomaloma was less visually dramatic than expected. Missing roofs on many buildings, trees stripped bare to the trunks, but still more green than we expected. A discussion with the Health Officer clearing us in though quickly put the human element into perspective. She told us that Vanua Balavu had 5 fatalities the day of the cyclone and they treated over 120 with injuries and had to medivac a few out to Suva with more severe injuries. Walking around later and seeing the damage to housing, water catchment and crops was also sobering, especially when we found that some cleanup had already been done by the Tongan Army and NZ Navy, who came to Vanua Balavu just after Winston to help clear access and restore basic services. All's well, we'll keep you posted as we go. Sorry for the longer summary today. Eight Sea Mercy vessels from New Zealand are clearing into Vanua Balavu on Wednesday/Thursday this week to deliver aid to the remote islands of Northern Lau and half a dozen more will be in Savusavu by the weekend. The following is an update from Tracey Collins, Sea Mercy Fiji Project Manager, on the activities of other Sea Mercy vessels already working in the area. 1. Roofing Structures - build (8) roofing structures with guttering next to existing water catchment tanks. 2. Pipe Spring Water to Village - build a small dam at water source above Naigani village and run pipes 1000 meters to village. 3. Repair Methodist Church - paint walls and floor, replace glass louvres, repair ceiling panels, repair porch roof. 4. Repair Brackish Well - clean out old surface water well and repair. 5. 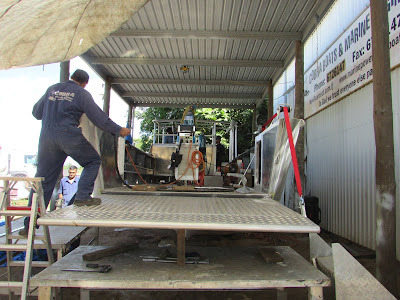 Copra Dryer - supply and install new Copra dryer (used in making coconut oil). 6. Teach Gardening - teach how to plant seeds, composting and any other gardening skills. 7. Clear Path - clear a path from Naigani to the Hospital across the island. 8. 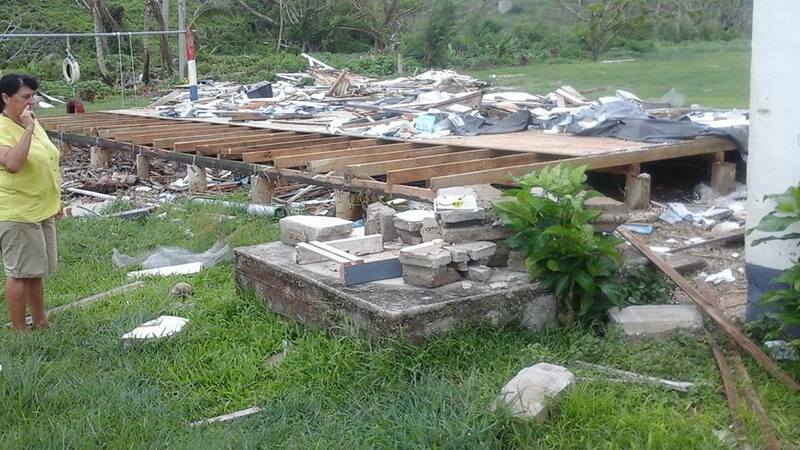 Clear Debris - clear away debris from Naigani village and recycle building materials. 9. 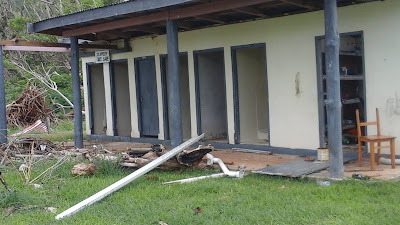 Build Temporary Toilets - build 9 toilet facilities using existing septic tanks. 10. Build Kindergarten - build small Kindy for (8) kids. 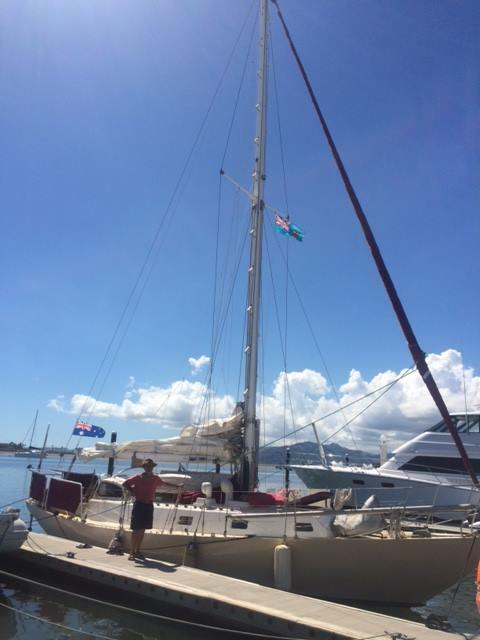 S/V ANAHATA: Currently in Port Denarau and headed for Makoagi 25/5/16. David will be rebuilding the toilets here - cleaning them up, installing a shower and basins in preparation for the volunteers. 1. 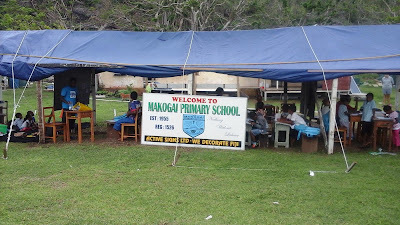 Set Up Camp in Makogai for volunteers. 2. Rebuilding of the School - As the central building for the village, our first goal is to rebuild the school to cyclone resistant safety standards for the protection of the village while installing the guttering and water tanks for drinking water catchment (the children are currently attending school outside under a tarp). a. 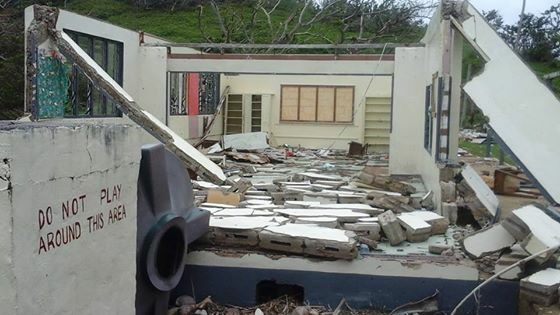 Materials Needed: Lumber, metal roofing, guttering, nails, caulking, concrete, tools, etc. 3. Rebuilding of their Homes - We will transition the villagers from the temporary tent shelters once each home is rebuilt and/or restored. a. Materials Needed: Lumber, metal roofing, guttering, nails, caulking, tools, etc. 4. Water Catchment & Storage - We will repair and deliver new water storage tanks to the village once the buildings are in place. S/V ROCKSTAR: Currently cruising the Yasawas. ETA Makogai unknown. Danny and crew will clearing a track from the dinghy beach to the village and then help with the bathroom renovation. INTERLUDE III: Currently anchored outside Pacific Cove, Taveuni 24/5/16. Fletcher has made some great contacts while he was in Savusavu. 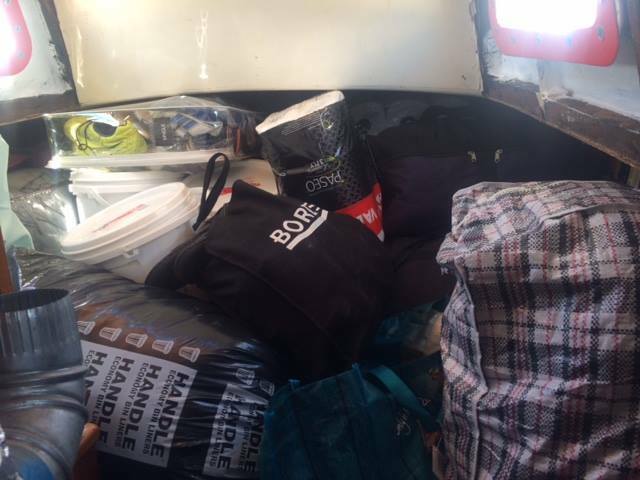 He has travelled overnight to Taveuni with all of the aid from Savusavu as well as filters for our water makers. He is in contact with Julie Kelly from Nakia Dive Shop and will be providing assistance to her and her projects in Southern Taveuni. Fletcher is aiming to be back in Savusavu Friday 27th May. He will restock his boat and head to Northern Lau to join the fleet there. S/V KOKAH: Currently in Port Denarau after returning from Naviti Island on 23/5/16. BEV left Port Denarau on 16/5/16 bound for Kese, Soso and Mua-ira Villages. She and her crew changed the filters in our water makers and gave them a good clean out. She has left extra filters along with instruction on how to clean the filters. Bev will also be helping in the warehouse when available. 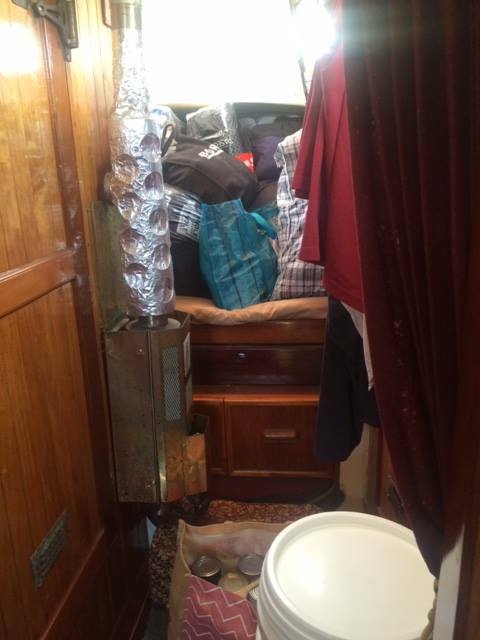 S/V GAMBOL: Currently in Suva. We are waiting for a response to our tasking request. 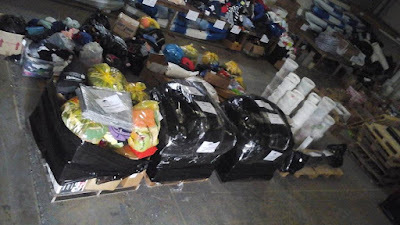 DENARAU WAREHOUSE: We still have aid in our warehouse. We also have 5 pallet loads ready to go to Makogai. I also need help to pack up pallets ready to ship to Savusavu. I will wait on direction from Jonathan as to what aid is required in Northern Lau. 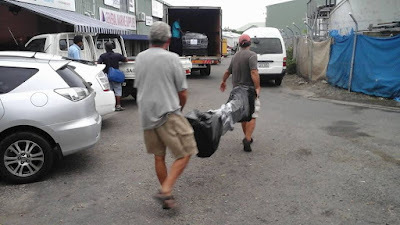 SAVUSAVU WAREHOUSE: Between Fletcher(Interlude III) & Tony from the Copra Shed, we have managed to find two options to store any items for pick up by our fleet in Savusavu. I will check them out when in Savusavu on Saturday. We currently have two volunteers here working for NGO Byond. They have a shipment of school supplies and other aid that they would like to get out to Kubulau, which is on the mainland of Vanua Levu just down from Savusavu. I believe there are 5 villages in total, all with safe anchorage outside. Tracey Collins will be at the Copra Shed at 11am on Saturday to meet with any crew from Sea Mercy vessels. 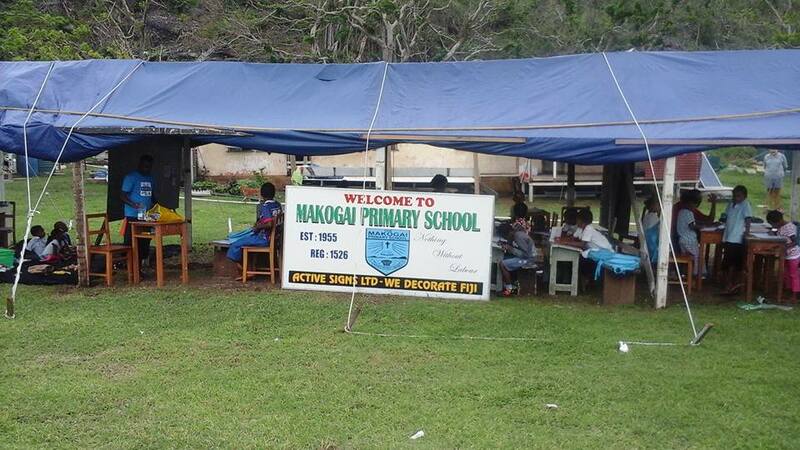 Tyrepower of Australia Commits $86,975 to Sea Mercy's Makogai School Rebuilding Project! Click on picture for link to complete story from Tyrepower. 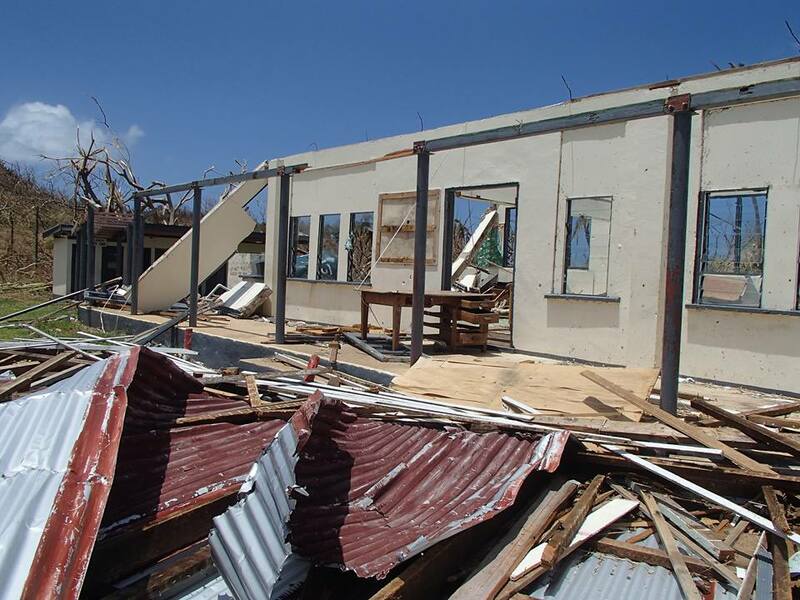 Tyrepower of Australia has committed $86,975 to Sea Mercy's recovery and rebuilding efforts on Makogai Island to rebuild the school there! We are very grateful for the heart and support from the leadership and staff of Tyrepower and our efforts on Makogai. 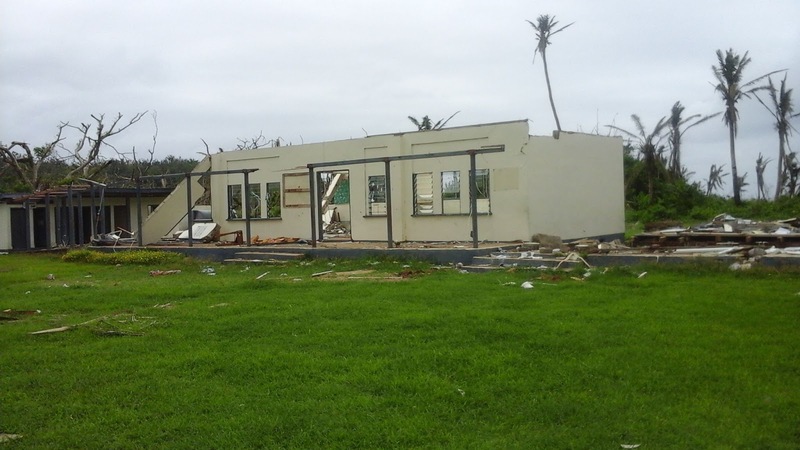 Their support of the Makogai School Project greatly expands Sea Mercy's ability to help bring those living on the remote islands back to the thriving and healthily communities they were before Cyclone Winston's devastation. For more information on the Makogai School Project, or how to support help with other Sea Mercy projects (financially or via donations), please visit the Makogai Island project page on our website. The mark of an incredible company is tied directly to the heart of its leadership. The Whitton family of Rosie Holidays is the perfect example of the above. As the leading resort and tour business in Fiji, they were one of the first companies to respond with support and aid for Sea Mercy to take to the remote islands following Cyclone Winston. Not stopping there, they continued to fund raise in order to support the Sea Bridge Rebuilding phase on the remote islands. On May 20th, they presented a check to Nigel Skegg, President of Sea Mercy Fiji, for $31,078.38. "Nigel, We are honored to be your partners and know the funds will be put to noble use. 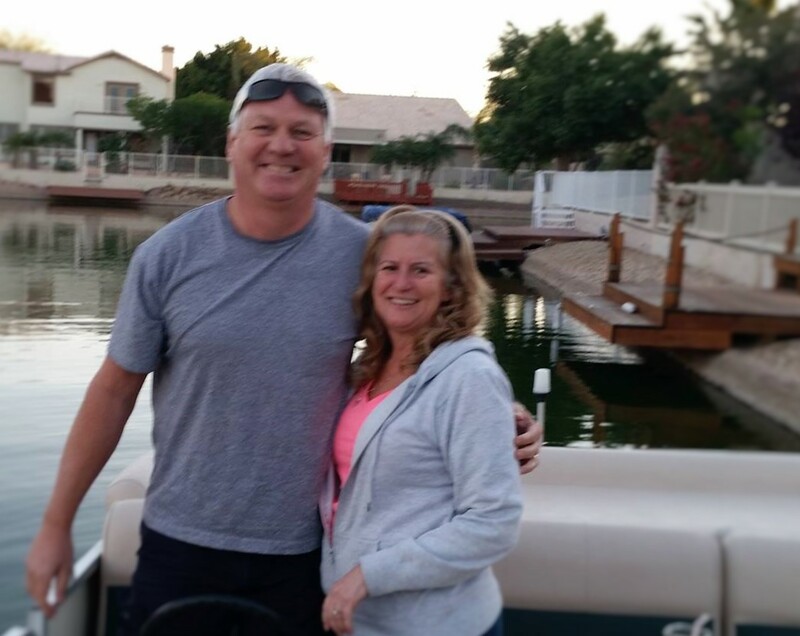 With Richard’s vision, your leadership and support especially at the Port, Sea Mercy has been able to achieve and deliver extraordinary services to the families of this country in the maritime islands. Our deepest appreciation and love goes out to the Whitton family and all the staff and employees of Rosie Holidays for their ongoing belief, effort and support of our programs. June 1st is the official launch date of our Sea Bridge Remote Island Recovery and Rebuilding Program and activity in Fiji has reached high gear. 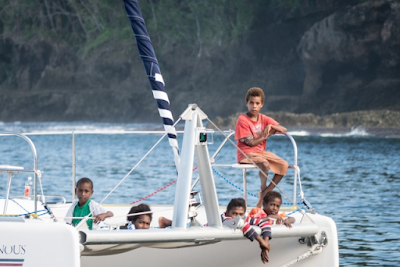 The next wave of Sea Mercy's Disaster Recovery Fleet has just passed Minerva Reef south of Fiji and is set to arrive in Vanuabalavu, Fiji on May 25th. They have had light winds and calms seas for most of their journey along with some rain showers. 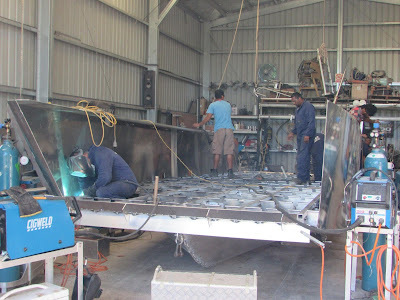 You can continue to follow their progress at Yachts-In-Transits . 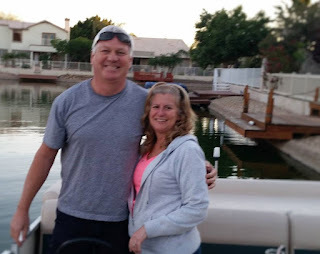 Jonathan and Donna Robinson are leading the fleet so look for CHEZ NOUS under "Boat Updates". Our new landing craft should be completed around the time the fleet arrives and will help immensely with the recovery efforts. 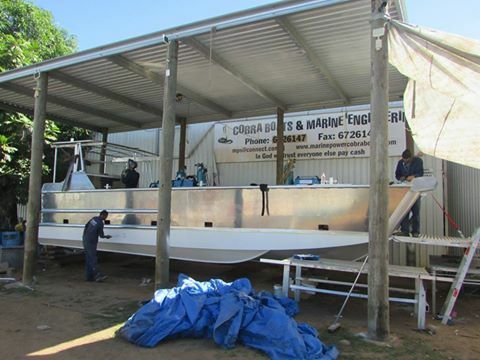 Another huge "THANK YOU" to our donor and to Cobra Boats for all their hard work!! We are still looking for the perfect name for this vessel and you can submit your suggestions by commenting on this post. Our first two large projects are currently being organized and are in need of funding and volunteers. Please visit the links below to read about the details of the projects and help spread the word. 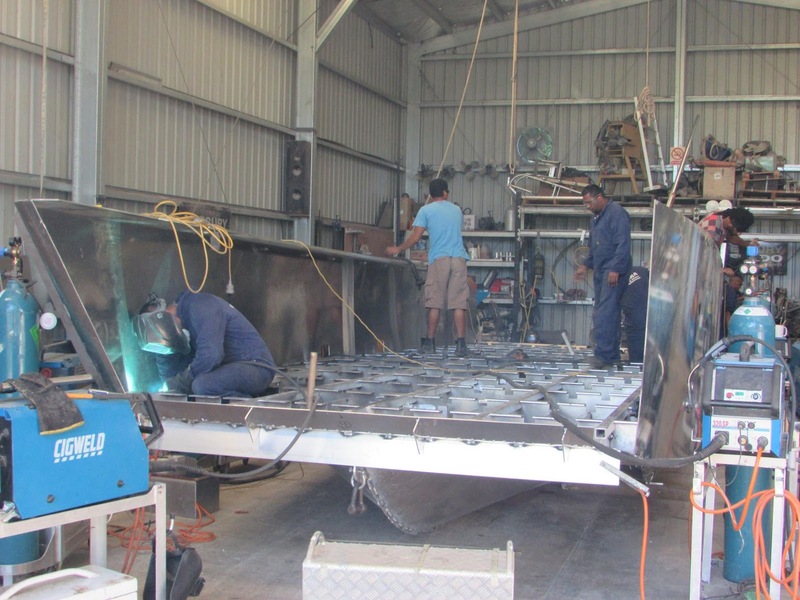 With the Landing Craft just weeks away from completion, we are preparing for the first official Sea Bridge project in the eastern Lomaiviti Group on the remote island of Makogai. As the below pictures demonstrate, the school and supporting facilities were destroyed and the children are currently meeting in an open tent for classes. The people in the village were huddled in the school during the worst part of Cyclone Winston (it was the only building in the village still standing) and then the roof and walls failed. It was a horrible moment and the children and families are still emotionally recovering from the ordeal. 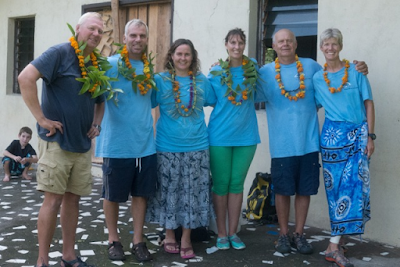 Ian & Wendy Shields (S/V Outsider) will be leading the efforts and a small fleet of Sea Mercy volunteer vessels and teams of international volunteers will be joining them to help rebuild their school. The Sea Bridge Landing Craft will be delivering the lumber, roofing, concrete, tools, and building supplies from Suva to Makogai island. Our international team will be setting up camp next to the school and will work together with the local villagers to make the school better than before ‪#‎strongerthanwinston. Please keep the people of Fiji, our captains, vessels and volunteers in your thoughts and prayers. I know that Jonathan and Donna like to remain out of the limelight while doing their work for Sea Mercy, but I needed to take a moment to honor their hard work and devotion to the people of the South Pacific. Not only did Jonathan and Donna lead last years’ Disaster Recovery fleet in Vanuatu following cyclone Pam, when they heard about Cyclone Winston's devastation in Fiji, they immediately stepped forward to offer their help and guidance. Not only have they helped build the Emergency Response fleet, but they have pulled together over 30 vessels from across the South Pacific to help with the Sea Bridge (Disaster Recovery & Rebuilding) program. They are one of the many quiet and unpaid heroes who play important roles with Sea Mercy. They depart today from New Zealand with a fleet of vessels to serve the Northern Lau Group. Please keep them and the rest of the fleet in your thoughts and prayers. Twenty-one vessels departed from New Zealand this week as part of the Sea Mercy Recovery Fleet bringing aid to the remote islands most affected by TC Winston. Follow their passage on the Yachts In Transit website. The response from the cruising community has been tremendous with over 40 vessels in all volunteering to assist us in our Sea Bridge for Fiji program. Sea Mercy vessels have been in the forefront of the recovery effort from Day One and more vessels are volunteering every day. In New Zealand, we are tremendously grateful for the support we are receiving from The Island Cruising Association, Gulf Harbour Radio, Northland Radio and Bob "MetBob" McDavit (fleet weather routing service). We also look forward to support from The World ARC Fleet arriving in Fiji next month. The captains of our recovery fleet have very generously volunteered their vessels, crew, time, energy and resources for the next several months to help Fiji recover from the devastation caused by TC Winston in February. The fleet has been preparing their vessels, provisioning and loading supplies and donations while they wait for the weather to clear. 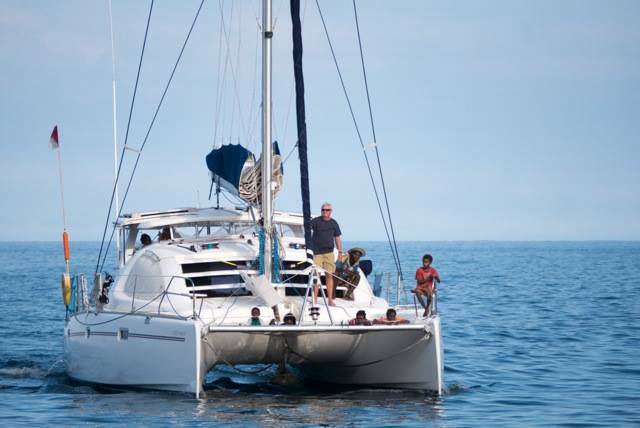 They departed from Opua, New Zealand on Saturday, May 14th to sail north to Vanua Balavu, Fiji. The passage will take approximately 10-12 days and the crews are all very anxious to get to Fiji and begin the recovery work there. In Fiji, they will join the initial fleet and volunteers who have been working tirelessly in Fiji since TC Winston made landfall. In addition, vessels from Tahiti, the Marshall Islands and Panama are already on their way to join the fleet, with more vessels arriving from Tonga in June and July. 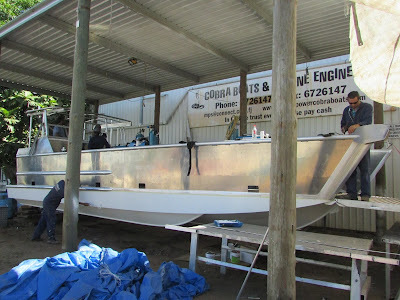 You can keep up with our latest projects and stories from our fleet by visiting our Sea Mercy Updates blog where you will also find links to the blogs of several of our boats and additional ways you can provide assistance to our efforts. 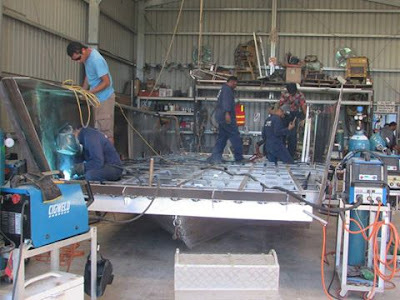 Sea Mercy’s role in Fiji’s recovery process is very aggressive, yet constantly changing to meet the needs of many groups working in the remote islands before the return of the next cyclone season. 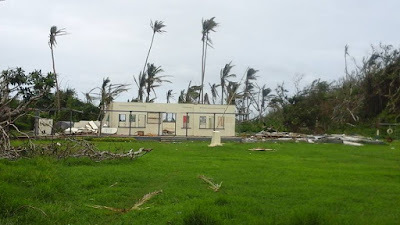 Tracey Collins, Projects Director in our Sea Mercy Fiji office reports “There are many NGO’s out there with available funds but without projects, or available volunteers but without transportation to get them to the outer islands. 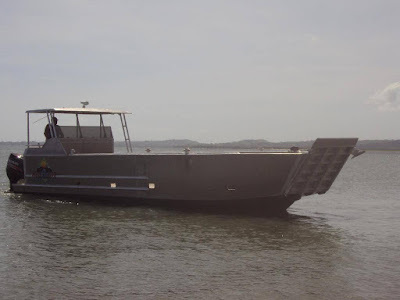 We have a huge list of projects and vessels for transportation, we just need to start working together.” Sea Mercy’s Sea Bridge for Fiji Program is designed to do exactly that! Sea Mercy is very grateful for the passion and zeal of the cruising community in their support of our recovery efforts in Fiji. Thank you to all our volunteers and, after reading about their adventures on our blog, Facebook page or website, you feel inspired to volunteer – please visit the Sea Mercy Sea Bridge for Fiji page to see how you too can contribute to the recovery of the remote islands in Fiji. 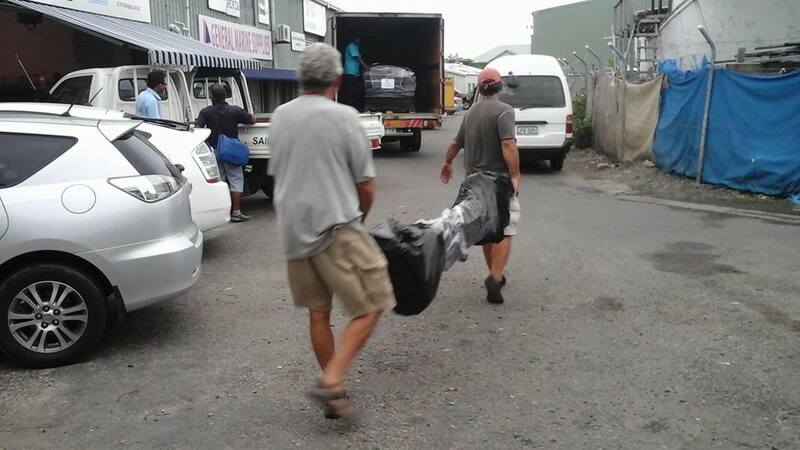 There is a lot of activity at the warehouse these days where volunteers are busy getting supplies organized, loaded and sent out to the islands in preparation for the arrival of the Recovery Fleet from New Zealand. 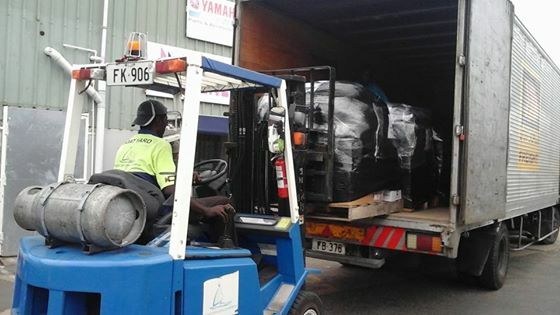 Four pallets of aid for Vanuabalavu and two pallets of aid for the Lomaiviti Group were loaded and sent to Suva. Vinaka to all of the helpers that made this happen. S/Y Sylph VI loaded up ready to head off to Makogai. Packed full with Aid. Vinaka Bob Williams! 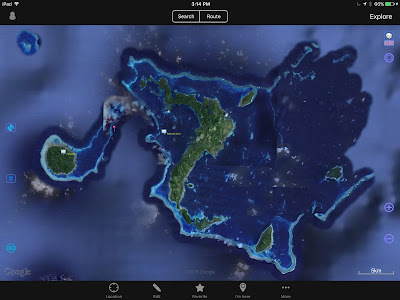 Click on the link below to read Marie's post of Cruisers Notes and Waypoints - Part I (West and North) for Vanua Balavu. Thank you DOMINO for all this valuable information and sharing your previous experiences here. Wendy Shields added 5 new photos. 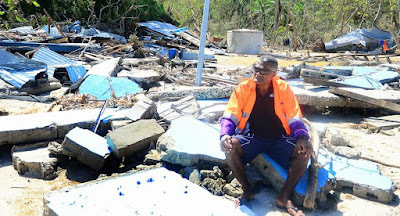 As you may know we the Outsider's, Wendy and Ian, have been working as volunteers with Sea Mercy delivering food, supplies, shelter, tools and clothing, etc and also installing desalinators to some of the worst affected islands in Fiji after TC Winston. 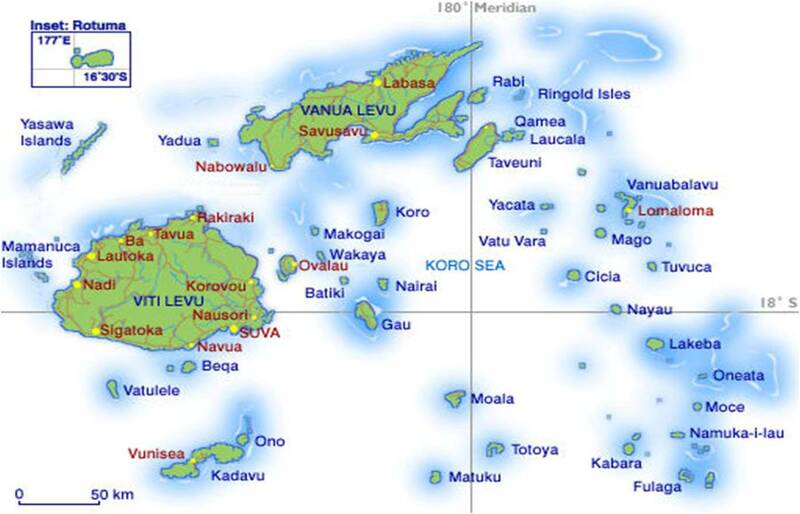 The island we have visited the most is Makogai, which lies about 35 klm NE of Levuka, which is the old capitol of Fiji. We have developed strong ties and have become great friends with the people of the village of Na'sau on the southern end of the island. 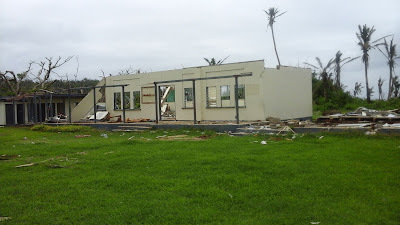 Makogai took a direct hit from Cat 5 TC Winston with catastrophic results over 90% of the village and school are totally destroyed. Most of the villagers are currently still living in tents. We are now looking for volunteers to travel to Makogai to help rebuild the school and perhaps the village and church if we can get enough help. We are looking for teams of 4 or more people with at least one person be a licensed or trade qualified builder/carpenter/plumber with the other team members having building experience and a cook. Team members will need to fund their own airfares to Fiji, bring their own tools and be able to be on site for at least 2 weeks. 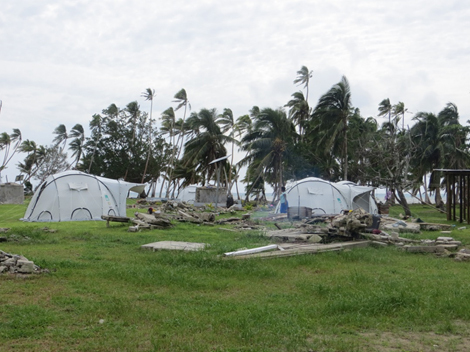 Sea Mercy will provide transfers from Nadi to Makogai, tents, bedding, cooking facilities and food whilst on island. They will also be providing all the building materials, generators and fuel, scaffold etc. The 3rd week of June it is anticipated that we will require our first team/team's to start. The program will continue until at least November. 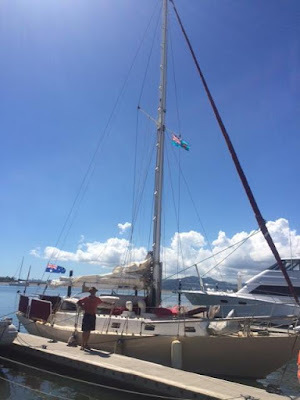 Marie Dufour on Domino is part of Sea Mercy's Disaster Recovery Fleet (DR2A) leaving soon from New Zealand bound for Vanua Balavu, Fiji. She has written an awesome post on her blog summarizing Cyclone Winston and Sea Mercy's recovery plans. She has also added a huge amount of information about communications, weather, cruising guides, charts, etc. There is also a link to her blog and to the blogs of other Disaster Recovery Fleet vessels on the right-side of this page so check them out to keep up on their progress. Our thanks to the team at Cobra Boats in Nadi, Fiji who committed to working overtime to insure the Landing Craft is completed in time for the Sea Bridge Recovery & Rebuilding program. 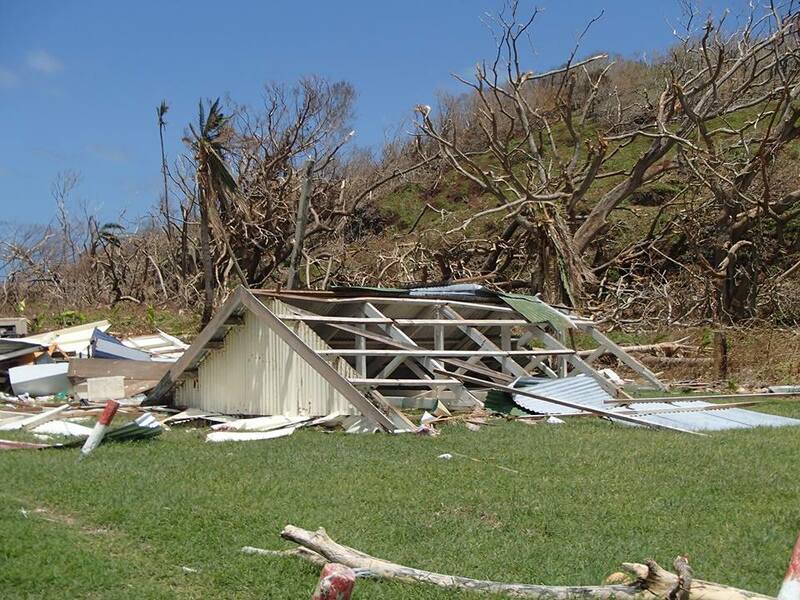 We will be delivering the lumber, roofing, tools and equipment need to help those living on the Remote Islands devastated by Cyclone Winston, to rebuild their lives. One of the best (and most beautiful) working vacations you will ever experience.